Welcome to the Cobblestone Inn & Suites in Waverly, Iowa. 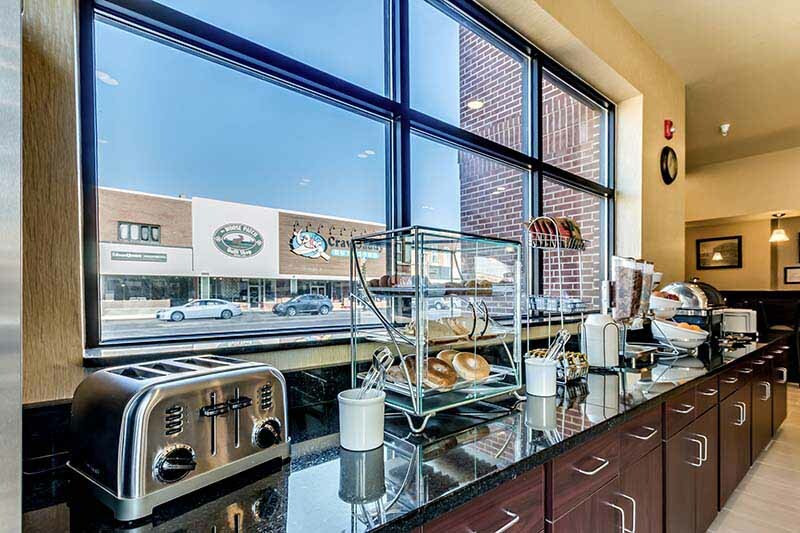 Our beautiful hotel is conveniently located near everything that Waverly, Iowa has to offer including Wartburg College, Walston-Hoover Stadium, the Waverly Municipal Airport, and more. Our hotel provides easy access for traveling to and from U.S. Highway 218, U.S. Highway 63, and Iowa State Highway 27. Located north of Interstate 380, our hotel is within 25 miles of Waterloo, Iowa. In town for business? The Cobblestone Inn & Suites of Waverly, Iowa offers easy access to GMT Corporation, CUNA Mutual Group, Nestle Beverage Co, and much more! In town for some fun? Check out The Palace Theatre, Crawdaddy Outdoors, The Cedar River, WaterStreet Grill, East Bremer Diner, and more.